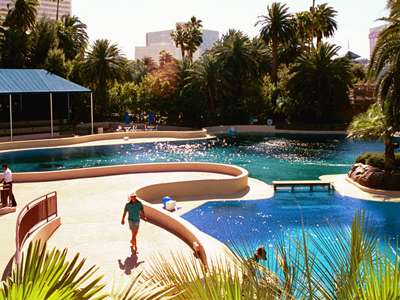 Experience the dream of legendary magicians Siegfried & Roy in their Secret Garden and Dolphin Habitat at the Mirage Las Vegas. 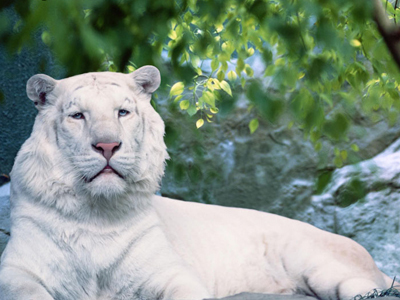 The beautiful attraction displays six different showcases of white tigers and lions, and leopards! Online Booking Now Available! Step away from the strip to one of the most serene places in Vegas. Lions, tigers, dolphins and more all in one place. Book direct at the Mirage today. Save the most when you book your tickets in advance online. No code needed, tickets start at $22/pc before fees and taxes. 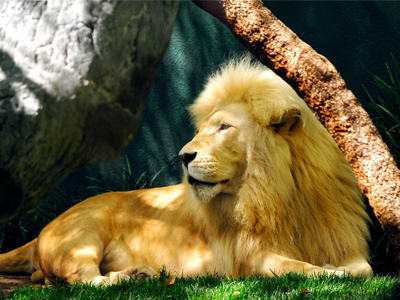 Enjoy white lions, white tigers, panthers, leopards and a family of Bottlenose Dolphins right at the Mirage. 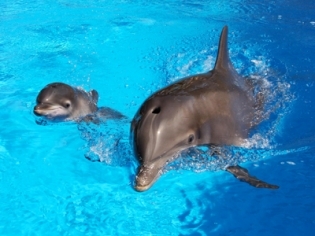 New features include paint with a dolphin, yoga with the dolphins or be the trainer for a day. Lions, tigers, and bears, oh my! Well, not so surprising at the Mirage Hotel-Casino. See animals such as leopards, panthers and dolphins play in their natural habitat. The most exciting part? See the dolphins in their 2.5 million gallon research habitat. You never know, they might do a trick or two for you! Dreams of becoming a dolphin trainer or researcher? 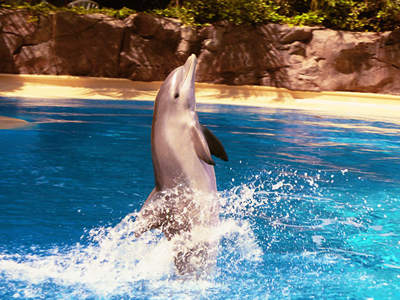 Well, at the Secret Garden and Dolphin Habitat at the Mirage Hotel-Casino, your dream can become a reality. Swim and feed the dolphins. Even learn a thing or two about their lifestyles and habitat. You’ll be wowed by the welcoming feeling you’ll get from each dolphin. We really had a great time at this attraction. The white lions and dolphins were my personal favorites. At one point we got to feed the dolphins! The new features such as paint with a dolphin and yoga were amazing. We would definitely do this again. I highly recommend it! I’d been living in vegas for years and never made it here. I’m glad I did though. 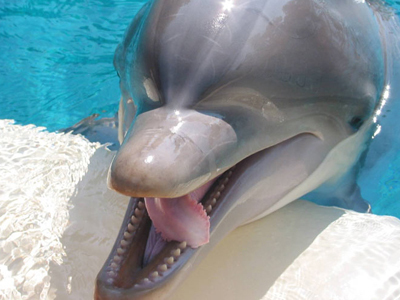 You get to feed the dolphins up close! It was a little escape in the strip, and one I liked because it was so cool! My wife bugged me to take her… it took three years, but I finally gave in and we went. Seeing the dolphins was nice, and the tigers even though all slept was still an interesting sight. The dolphin show, however, was for a family that paid a lot extra to wear water suits and feed the dolphins… and be in the water with the dolphins. There was no real show put on for the rest of us that paid $20.00 each to watch. After taking photos I asked myself what was left? Okay I went, but would not do it again. Save your money for a Vegas show, or Sea World. This was and exceptional and would recommend to anyone. This by far is the closest you will come to seeing the animals. Great dolphin encounter and training and lions and tigers less than 5 foot away. Thanks for a great place to enjoy. Too much construction in lion and tiger area. Best part was the leather paintings of names. Not worth the price of admission. They should charge only $5-$10 at the most, the $20 they charge is totally not worth it. The place is small, and the lions smell really bad. A big part of the lions habitat was under construction. Also, if you go during the summer, it is really hot out there. I really enjoyed this attraction. The tigers were adorable, the dolphins were fun, and it provided a nice respite away from gambling/casinos. A little expensive, but I think it’s worth it. It’s is fun, I can’t lie.. But it’s extremely hot. The dolphins are cute but it gets old quick.